I seem to have a long list of things I want to finish (or even start and finish!) within the next couple of weeks! So it's hard to pick one for this months goal. 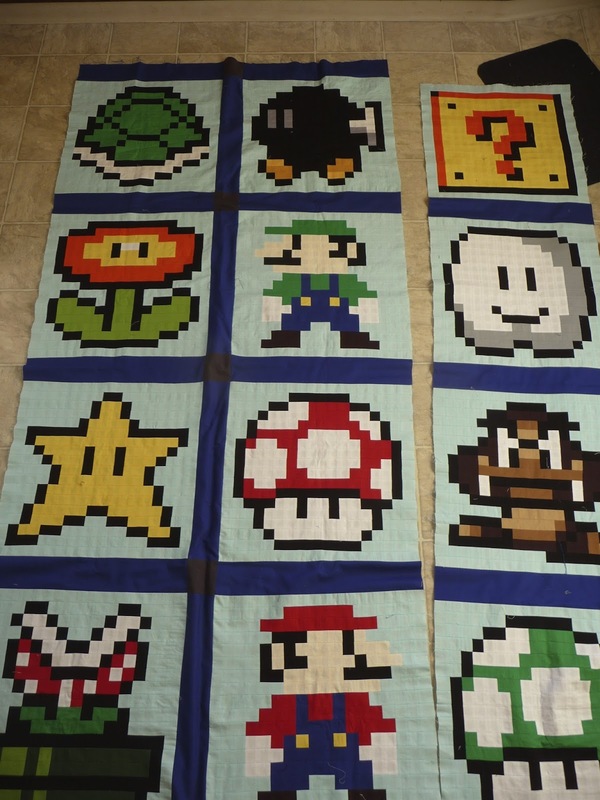 But I have decided that the Mario quilt is the priority! This is supposed to be one of the boy's Christmas presents and I'd rather it didn't become a birthday one instead! I spent much of yesterday doing the sashing. None of my blocks seem to have finished at the same size. The margin of error may only be very small on any row or column but overall has meant that they have ended up anywhere between 18.25" and 19". Lots of manipulation going on!! 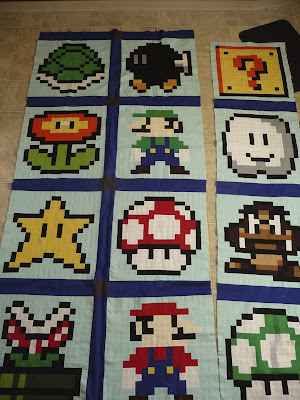 Now it is nearly all together, this quilt is looking big! I am struggling for a space to photograph it all! I am going to have to make a backing as I have nothing this large sitting around! And quilt it! Going to be interesting! I see some late nights coming up!